Three factors were necessary for the widespread acceptance of short dialysis: economic incentives, technical feasibility, and medical/scientific justification . Economic incentives were demonstrated by early proponents of short dialysis. In the meantime, very efficient dialyzers had been designed and their values demonstrated in short-term studies [11, 12]. Nevertheless, short-term studies would not be sufficient for the widespread use of short dialysis. Some scientific support and a mathematical formula were needed to define an adequate dose of dialysis and justify short treatment duration. The first such formula was developed in the early 1970s. Uremic peripheral neuropathy was a common complication of hemodialysis and very resistant to treatment. This complication was not dependent on urea and creatinine concentrations, but was rare with 24-27 h weekly hemodialysis on standard Kiil dialyzers and in patients on peritoneal dialysis. Based on these observations, Babb et al. first proposed the idea that toxins responsible for neuropathy might be in the molecular weight range of 2,000-5,000 Daltons. They originated the term 'middle molecules' (MMs) and calculated that their clearance is the product of the overall mass transfer coefficient and the membrane area. This hypothesis led to the 'square meter-hour hypothesis', which implied that by doubling the surface area of a hemodialyzer the time of dialysis could be halved for equivalent MM removal [13-15]. This was an important step in the justification of high efficiency, short time dialysis. Ultimately 'a dialysis index', the first quantitative description of adequacy of dialysis, was developed . 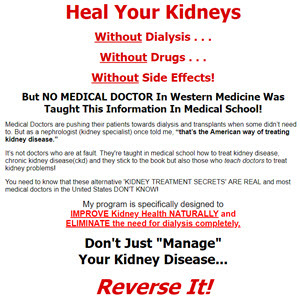 The formula takes into consideration residual renal function, which was omitted in formulas developed later. In the late 1970s and early 1980s, short dialysis received support from a new measure of dialysis adequacy based on urea kinetics. Gotch and Sargent  recommended that the minimum dose of dialysis (dialyzer urea clearance, treatment time and frequency) should be sufficient to result in mean predialysis blood urea nitrogen (BUN) values of 80 mg/dl in patients with documented protein intakes of at least 1.0 g/kg/day. It is worth noting that, unlike the MM clearance, the urea clearance is significantly influenced by blood and dialysate flow rates, because urea molecules diffuse rapidly through the membrane and from red blood cells to the plasma. Therefore, to maintain a high concentration gradient of urea between blood and dialysate, high blood and dialysis solution flow rates are required. The National Institutes of Health (NIH) sponsored the National Cooperative Dialysis Study (NCDS) to establish the objective, quantitative criteria for the adequate dose of dialysis . Urea kinetics coupled with the monitoring of nutrition was chosen as the criterion of dialysis dose . It was accepted that the single measure of dialysis dose should be Kt/Vurea: the amount of urea clearance (K) multiplied by time (t) and divided by urea distribution volume (V). Morbidity was used to judge the quality of dialysis. Patients with high BUNs and short hemodialysis durations were hospitalized more often compared to the group with high BUN but longer dialysis; however, this was statistically insignificant and in the final recommendations, the length of dialysis was considered as only marginally important . It is amazing that the length of dialysis was rejected as an important factor on the basis that p was <0.06 instead of the sacrosanct 0.05. It was forgotten that absence of evidence is not evidence of absence. However, it was recommended that 'short dialysis should be prescribed with caution in patients who are likely to suffer cardiovascular complications' . In later analysis of the NCDS, Gotch and Sargent  concluded that 'normalized protein catabolic rate over 1.0 g/kg/day and Kt/Vurea over 1.0 per treatment in hemodialysis is of no apparent clinical value with the cellulosic dialyzers in thrice-weekly treatment schedule'. The results of this study spurred other studies to demonstrate that dialysis time could be halved by doubling blood flow and dialyzer surface area [22, 23]. Although clearances of small molecular substances did not differ significantly, the tolerance of dialysis was worse and hy-potensive episodes were more frequent with shorter dialysis sessions particularly in patients without residual urine output . It is worth mentioning that early studies indicating benefits of short dialysis were carried out in patients starting chronic hemodialysis and eo ipso with substantial residual urine output. In the NCDS study, residual renal function was not taken into account, but most patients were of short dialysis vintage, so it is likely that their residual renal function was significant.